Got some questions? Fill up this form and we will get back to you as soon as possible. 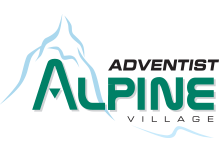 How was your stay at the Adventist Alpine Village? The Adventist Alpine Village (AAV) is located near Jindabyne. Travel directions from Sydney: drive to Canberra, travel on the Hume and Federal Highways. M5 and M7 motorways lead onto the Hume Highway). Travel directions from Canberra: continue on the Monaro Highway passing through Cooma. Continue on Kosciuszko Road, passing through Berridale to Jindabyne. When you reach Jindabyne: Drive through Jindabyne to the second largest roundabout and turn left into Barry Way. Travel approximately 2km along Barry Way and turn right into Tinworth Dr. Drive past the airport to the end of Tinworth Dr.
Summer & snow holiday accommodation in Jindabyne, near Thredbo & Perisher, for school groups, conference events, families and couples, surrounded by beautiful bushland.